You think you are too old to work out and get fit? Tell that to Fauja Singh, 100, who just completed the Toronto marathon. I already said in a video that sometimes people as young as 35 ask me if they are too old to start working out. Well, when Mr. Singh crossed the finish line of the Toronto marathon yesterday, he was 100 years old. He finished last, but didn’t care. He also didn’t care that it took him eight hours to do the 42k (26.2 miles). His coach told the Toronto Star that for Singh it was the fulfillment of a lifelong wish and that he actually beat his own prediction of finishing in nine hours. 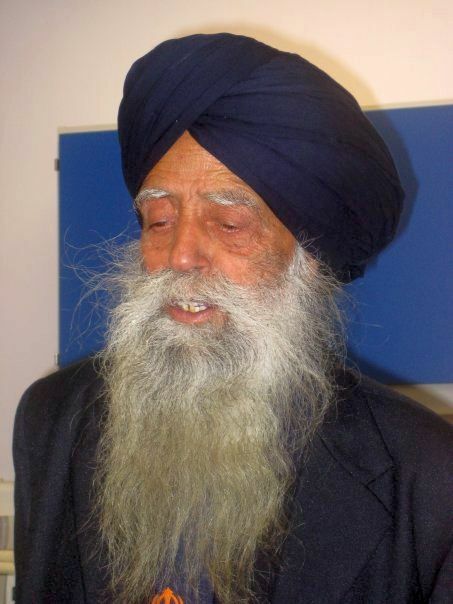 Fauja Singh ran his first marathon at the age of 89 and already in 2003 broke a record in the 90+ bracket, when he finished one in 5 hours and 40 minutes. This time he dominated eight world records for runners older than 100, ranging from 100 to 5,000 meter distances. Originally he had picked up running twenty years ago, after losing his wife and child, and it gave him a new meaning of life. Now he wants to participate in the 2012 Olympic torch relay for the London games. “I have said it before: that I will carry on running, as it is keeping me alive”, Singh told the Toronto marathon’s website. My hat is off to you, Mr Singh. Pictures courtesy of Vlad Litvinov and “Mirthrandirthewise”. Tell me this man’s diet!